Search Results for "kid on bike"
17. 09. 2017 - Kyiv, Ukraine. Little kid riding bike, close up. Leisure in the park. Green grass. 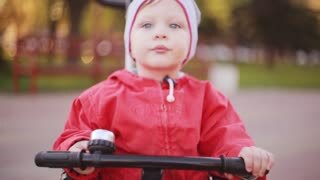 Cute little boy sitting on bicycle, keeps hand on wheel. Kid in red jacket preparing to riding a bike. 1970s: Kids walk across crosswalk, kids on bicycles stop at crosswalk. Girl rides bicycle up driveway, parks bike on driveway. Girl rides up to train tracks, stops. Kids ride bicycles at night. 1970s: Kids walk across crosswalk. Kids on bicycles ride across intersection. Girl rides bicycle up driveway, get off bike, parks bike in grass, puts down kickstand. 1950s: Kid walks up steps, picks up roller skates. Kid picks bicycle up from the ground. Kid picks up marbles, schoolbooks, a toy truck, baseball bat, garden tool. 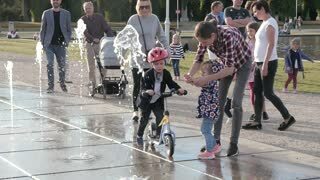 Kid Active Bike Start. 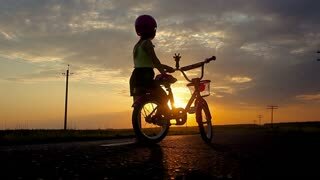 A cute little girl being active outdoors in a cold day: starting a bike ride. Slow motion. Kid Active Bike Arrival Mother. 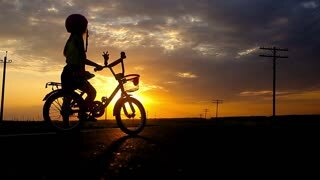 A cute little girl being active outdoors in a cold day: arriving with a bike near her mother. Slow motion. 1950s: Boy picks up rock, holds rock back to throw it, thinks, drops rock. Kids play on swingset. Girls sit on brick wall, boy aims gun at girls. Boy shakes head, lowers gun. Kids ride bicycles. 1962: Kid riding bike pulling wagon around mobile trailer home park.8mm vintage film footage home movie captured in 4k (3840x2160 UHD) resolution post production of custom historic preserve and restore processing.